Can Bitcoin Energy Consumption Destabilise World Power Grids? 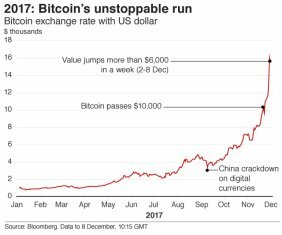 First of all, Bitcoin recently peaked at an exchange value of almost $18,000 (USD). This is important because it is driving the demand to ‘mine’ more Bitcoins through the roof. You can now even trade in Bitcoin Futures at specialty stock exchanges. A quick look at the chart will demonstrate just how dramatic, and unsustainable, the trading price of these formless strings of numbers has become. 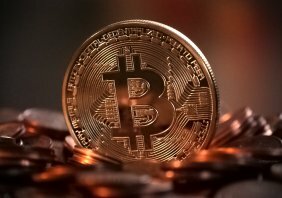 Bitcoin is 'mined' by having large banks of computers run complicated maths problems to come up with one of a limited number of solutions. Each solution is, in essence, a new Bitcoin. The process takes months, and uses up a great deal of electrical power. However, calculating exactly how much power this process uses is difficult. The ‘rule of thumb’ used to be that a third of the value of a Bitcoin must be spent just on powering the equipment to generate them. However, this was how much it cost to ‘mine’ a Bitcoin BEFORE their value skyrocketed. Today, it costs roughly $400 worth of electricity to mine a single Bitcoin. That represents running a ‘standard’ Bitcoin mining computer system for six months and consuming 1000 - 1500 watts the whole time. Of course, the actual cost varies depending on the price of power in a particular country or region. As there are (very conservatively) 2000 Bitcoins mined every single day, there would have to be roughly 1.5 million Bitcoin mining systems running 24 hours a day – perhaps more, as some will be older, less efficient models. That comes to (again, a very roughly estimated) 1.5 to 2.2 trillion watts of power, every minute of every day, worldwide. That could be as much as 19 TWh every year. Is that as much as Ireland or Denmark, as they say on social media? Not quite, but it is shockingly close. In 2015 Ireland only used 25 TWh, and Denmark used only 30 TWh. One assumes they use a bit more in 2017, but the numbers are definitely on the same scale. All this Bitcoin mining might not place such a demand on the grid that the price of power skyrockets, but they ARE placing higher demands on the grid all across the world. Bitcoins can be ‘mined’ anywhere, as they are not associated, backed or guaranteed by any national government. Naturally, you see the most ‘mining’ activity in countries where power is dirt cheap. These also tend to be the countries where power grids are the least robust. All that extra load is making some of those power grids very prone to brown-outs and failures. World governments have a lot to deal with right now, and the odds of them throwing a few trillion dollars, pounds, euros or anything else towards revamping the power grid are fairly long. 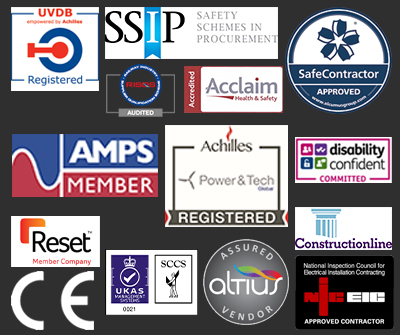 Now is the time to invest in a cost effective, reliable back-up power system for your business. Bitcoin mining might not actually be using ‘more power than Ireland’ but it is putting a strain on electrical grids which already struggle to provide reliable power to all of their customers. 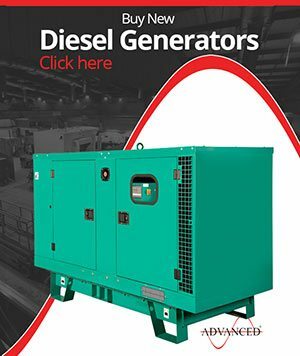 If you don’t want to risk losing hours or days of work from time to time, you need a reliable diesel back-up generator more than ever. And at least for the moment, you could pay for it with the monetary equivalent of a fraction of a single Bitcoin.